KCMA Corporation, a subsidiary of Hitachi Construction Machinery Group and marketers of KCM loaders in North America, is proud to announce a new addition to their wheel loader lineup. The new 30ZV-2, compact loader is the smallest loader in the line. This model promises to be a strong contender in the ever growing compact loader market. Powered by a reliable 30 HP, Kubota D1803-MDI 3 cylinder diesel engine is certified for T4I emission levels with no DPF or SCR required. The proven Hitachi two speed hydrostatic drive system, gives the 30ZV-2 a top travel speed of 9.3 mph. Equipped with standard Limited Slip Differentials the 30ZV-2 can handle most ground conditions well. The standard 0.52cu.yd.3 quick coupler bucket and SSL coupler (universal coupler) offer maximum versatility. The 3rd spool valve is standard to handle attachments with extra functions. Many other standard features make the 30ZV-2 productive, and easy to service. Adjustable suspension seat, automatic bucket leveler, and single lever hydraulic control aid the operator to be more comfortable and productive. The patented oil impregnated bucket pins, easy access engine compartment, and cartridge filters for fuel, engine oil, HST oil and hydraulic oil make the machine easier to service. The ROPS/FOPS canopy, reverse alarm, turn signals, rear view mirrors and three inch seat belt are also standard. Optional equipment includes sound suppressed ROPS/FOPS cab, air conditioning, heater, solid tires and radiator screen. Compact loaders offer excellent productivity, safety, longevity, and operating economy. Fuel consumption on the 30ZV-2 is less than one gallon per hour in most applications. Tire life is excellent. With dump clearance of 6'7.75” and 2'11” reach the 30ZV-2 can load a variety of vessels easily. The smooth hydrostatic drive is powerful for grading and dozing. The Z-linkage gives the 30ZV-2 good breakout force for digging. 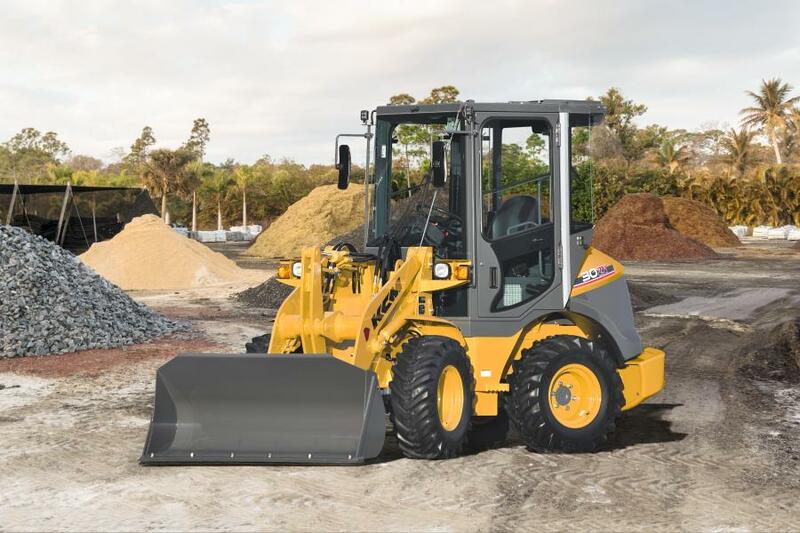 Overall, the 30ZV-2 is a strong machine in the fast growing compact loader market.